It's clear by now that computers did not shrink our workweek. Instead they allowed us to produce more in the same number of hours. 2D CAD's allowed architects to draw faster and cleaner. As technology kept advancing, speed became the standard and quality became the new target. 3D CAD let architects design in ways that were not possible before, avoiding issues and creating new complex shapes. The interesting thing is to see how these advances have pushed the bar in so many areas. A very basic example that I ran across recently was with pumpkin carving. I picked up a $5 book that came with a handful of tools. The book had a number of templates and some very basic instructions. The tools were much better than the safety knifes from a few years back allowing you to make much more intricate cuts. With the help of the improved tools and templates my daughter (age 7) carved out a better pumpkin than I ever made, even in my high school years. I was able to keep up with my 4 year old daughter's work however. While the templates and specialty pumpkin carving tools would be considered an unfair advantage in my day, today it's the norm. Triangle eyes are not acceptable even for a 2nd grader today. 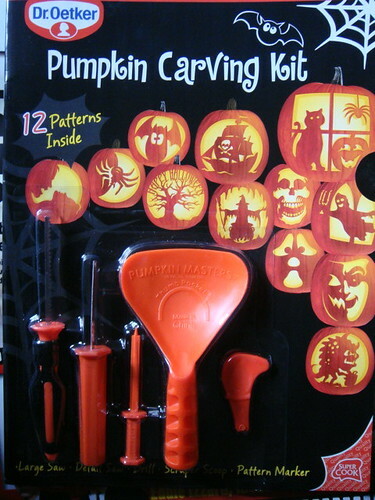 Meaning, a triangular hole punch to carve your pumpkin in 10 seconds is an improvement, but people want multipliers. They want the tools (template, instructions and specialty tools) that will let them carve a world-class pumpkin. What this mean to me is that the products we create should never merely deliver the expected, they need to deliver world-class quality just to keep up. Regardless of the skill level we predefine for our users, the products need to help them become superstars. Form Follows Function, even in gardens? I've never been much of a plant person. I just never got into the pretty flower thing. Turns out there is a lot more to it then that. Specially when you pull in the environmental aspects. I attended an Ocean Friendly Gardens class today here in Torrance. It was put on by the Green Gardens Groups, Surfrider, South Bay Environmental Services Center and the City of Torrance. They put together a great class that surprisingly only spent a few minutes on the plants and bout 2.5 hours on all the other aspects of a healthy garden. The big surprise for me was the importance of run off water, permeable soil and how it relates to my home and the ocean. I figured that since "It Never Rains in Southern California" rain gutters and run off water had no importance to me. Once they rationalized it, it makes perfect sense. More dirt accumulates the longer we go without rain. And since the water rushes down the gutter down pipe, the ground is not able to absorb it so it just runs off. Now that little bit of rain water is gone into the drains instead of in my garden. What this all means is that I can't just stick a bunch of pants in the ground. I have to manage rain gutters better, create contours to direct the water and possibly even a space to store water. Then I have to fix the mess of compacted soil that does not allow water or life to thrive. This will not only help my garden but also avoid water from accumulating under my house. This lesson sounds painfully familiar from the interaction design world. The client thinks they just want a prettier site, but without looking at the entire system the design will fail again. And ignoring to fix the real problem can be much more expensive down the line? I went to an iPad camp this weeekend and had a great time. It was Saturday and Sunday, 10am-7pm. I was amazed at how much we were able to get accomplished. We had a product position statement, goals, scenarios, flows and wires by 3pm on Saturday. These are all things that are typically eliminated from small projects because they take too long. Even though they were not done to an optimal level, it definitely helped us get on the same page, make decisions and keep the product focused. This cram sessions approach could apply well even in corporate environments. I joined a new team in my office recently which seamed to appreciate design more than other groups. I was quite enthusiastic about this new potential for proving out the value of a proper design process. It was soon clear, however, that while the appreciated the value of the final product they did not understand or value the process of design itself. The expectation was to magically land on that final beautiful elegant solution. The main points of resistance that i was hitting was the perception of delaying progress due to red tape or legacy speed bumps. Explaining needs gathering efforts, persona modeling, scenarios and others was "understood". That is, they didn't disagree with the explanations. However within that meeting, they were eager to jump into the wireframes. Here is where the public perception of wireframes grew to be a bigger thorn in my side. For an outsider, the number of wireframes produced quantifies progress. Personas, scenarios and the like are seen as obstacles that delay that count. I think at some point I even blurted out "I am not defined by wireframes!". The more this wireframing continued without proper definition of scenarios and personas, the more derailed and "artistic" the site became. A month later, the amount of progress that had been made was disappointing/expected. Meetings still kept getting derailed by new requirements and distorted scenarios. The amount of time needed to properly define personas and scenarios would have been made up, not to mention a stronger platform to build upon. Looking back, the problem is easy to spot and it happened very early on. Before anyone can even think about wireframes, process has to be communicated and expectations have to be set. When you try to explain process a couple of weeks in, it is seen as an obstacle. The value if process also has to be quantified in order to speak with business stakeholders. "Two weeks now allows design to work independently 5 weeks earlier". It allows scopes to be estimated and schedules to be met. I just finished reading "Nudge: Improving Decisions About Health, Wealth, and Happiness" and attended an interesting UX Book Club meeting where we discussed various details. The meeting itself was much more engaging than I expected as I don't consider myself much of a reader. The book goes over a number of findings around how people tend to react better to suggestions or nudges rather than mandates. I recommend the book to anyone who is designing anything that involves user response. As a very brief overview of the book, Nudges are contextual design decisions that aim to maintain choices for the users. Instead of mandating that users select a specific item, the better choice is defaulted, positioned or socially associated in such a way that will lead the user towards it. As you might imagine, the "better option" is difficult to define and is extremely contextual. How much you should nudge is also a delicate balance, but one thing that is clearly spelled out in the book is how important these nudges end up being. Intentional or not, the way we present options has a huge effect on the outcome. One of my biggest take-aways was the scenario where users fail to answer because they either forget or because the options are too complex. Many times, the designer or choice architect at they refer to it, can make an educated nudge as to what the answer should be. In certain situations, no decision can have a devastating result, while an educated default answer will be right 90% of the time. The book uses extreme examples with topics such as health care and retirement investments, but the nudges are still relevant at lower level options fond in software. Another very interesting point was how people make automatic and reflective decisions. People want to be good, but in the heat of the moment bad decisions are sometimes made. Nudges made during reflective moments, when people think straight, can affect decisions during automatic or impulsive moments. I can see this affecting impulsive online purchases or frustrating moments with software. Perhaps help options can be introduced earlier when the user is in a calm, reflective state. Inevitably, the user will hit some road block and become frustrated. If they are already familiar with the help options and structure, they may be more likely to find the help topic rather then jump straight to the more costly phone help support.In turn the software company does not have to charge for phone support because call volume is maintained lower. I've always looked at the world through designer goggles, but this book has given me an extra view into how my designs WILL affect outcomes to people's goals. The simple decision of default option is not so simple anymore. It looks like advanced product interfaces have extended beyond the Apple campus. B&O launched the BeoSound 5 System and it really holds up the interface on a pedestal. Not only the digital UI but the physical controls as well. A metal wheel eats into the screen real estate as if to say, I'm rich enough to loose those pixels. It may sound funny, but no other products sacrifice pixels for style. The thing that really caught attention is the quality of the interface, I feel that it actually meets the quality and design of B&O products. It's not frequent that you see this happen. 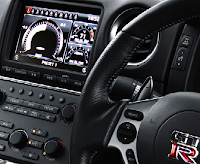 If you look at nav systems in luxury cars, they never match up to quality of the leather upholstery. The Nissan GT-R may be the one exception. They actually pulled in some video game designers to help them design the car's interface. The result is an immersive, gear-head (what's the tuner version of a gear head?) experience. The things that these two companies have done effectively is pay for the craft of the UI. It is well understood that a product has to pay for real metal parts or fine leather work, but it is not yet understood what fine UI work is. There aren't very many examples out there to refer to for starts. Secondly, there is miss understanding that glossy graphics will accomplish this. Craft goes beyond appearance, it is engrained in the material and gives the perception of extreme effort and skill. The business needs to want and be ready to pay for craft and the designer has to remember how to produce craft. Aside from the usual "breaking the mold" and "blood, sweat and tears" bit, craft is a team effort, a skilled craftsmen effort. It cannot be handed over to some guy to complete, only the most trusted engineers can carry through with you vision. The whole team needs to be truly onboard with the desire to produce craft. You know widget embeds have gone mainstream when the government starts using them. When I went to the FDA's web site to find the list of peanut butter products being recalled, i found this. One huge realization is that this organization is relying on the community to spread the word on bad products instead of JUST the FDA pushing out the information and finding people.